Mozilla plans to change the “warn on quit” logic of the Firefox web browser in the upcoming Firefox 65 release. Mozilla’s train of thought was that Firefox would restore the tabs on the next start of the browser if session restore was enabled, and that it was not necessary therefore to warn users specifically. A nine year old bug report on [email protected] highlights the reasoning behind the change. What it boils down to is that Firefox should not ignore the “warn on quit” preference of the browser even if session restore is enabled. 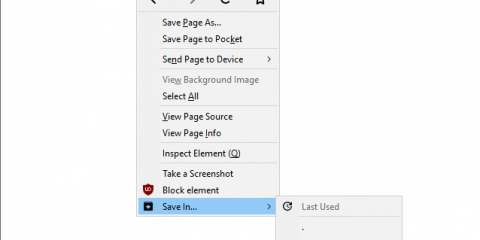 Turning on session restore should not disable quit warnings by default in the browser. However, when turning on Session Restore, this “never ask again” behavior is automatically enabled, which is confusing. I appreciate the logic (“you’re not losing anything by quitting since session restore is awesome”), but it still causes a long startup time if you do it accidentally. Firefox 65 or newer won’t display a warning if..
Ghacks needs you. You can find out how to support us here or support the site directly by becoming a Patreon. Thank you for being a Ghacks reader. The post Mozilla changes Firefox’s Warn on Quit logic appeared first on gHacks Technology News.